Here’s a look at the performance of dwelling values across the most populous coastal housing markets nationwide. While overall regional housing markets have recorded greater value growth over the past year (+2.2%) than the combined capital cities (-1.6%), value growth in regional markets is slowing. 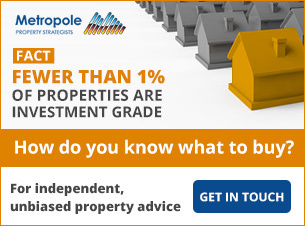 This is particularly apparent across some of the more populous coastal markets of NSW. In this week’s blog we look at the change in dwelling values over time across the major coastal housing markets outside of the capital cities and provide an update on how they are tracking. Although dwelling values in across the Illawarra region of NSW increased by 1.4% over the past three months, values have risen by just 1.1% over the past year. The 1.1% annual increase in values is substantially lower than the 17.6% increase a year ago. In fact, the annual growth rate over the most recent 12 month period is the slowest since April 2013. The Illawarra market is showing a similar slowing trend to that which has been experienced in Sydney and values are already -0.3% lower than their September 2017 peak. Dwelling values on the Mid North Coast of NSW, which stretches from the Great Lakes region north to Nambucca, have increased by 0.9% over the past three months and are 2.0% higher over the past year. The 2.0% annual rise in values is much lower than the 9.6% increase a year ago and the slowest annual rate of growth since August 2013. Although values are still increasing, the growth trend is clearly softening. The accompanying chart highlights that there is a rapid deceleration in growth occurring in the Newcastle and Lake Macquarie region of NSW. Over the past quarter, values have increased by 0.1% and they are 4.1% higher over the past year. Like other regions of NSW, the slowdown in value growth over the past year has been substantial; a year ago the annual growth rate was tracking 15.0%. Dwelling values in the Newcastle Lake Macquarie region are currently -0.3% lower than their April 2018 peak. Although Richmond-Tweed is in NSW, it tends to be more closely linked with the performance of the adjoining Gold Coast housing market. Values are still increasing, up 0.2% over the quarter and 1.6% higher over the year however, growth has slowed markedly from an 11.5% annual increase a year ago. The annual rate of growth has bounced slightly higher lately due to a moderate pick-up in value growth over the past quarter. Geelong in Vic has seen the most rapid growth in values of all regional markets in the country over the past year. Over the period, values have increased by 11.0% and the rate of growth is slightly higher than the 10.7% increase a year ago. It is interesting to note that the quarterly rate of growth in values has slowed over the past three months; while the pace of capital gains remains rapid, there are some early signs that growth conditions are starting to moderate. The Cairns housing market has seen very little growth in dwelling values of late. In fact, over the past decade, values have fallen by -5.4% and the market remains -9.2% lower than the January 2008 peak. Over the past three months, values have fallen by -0.6% and over the past year they are -1.0% lower. 12 months ago, Cairns dwelling values had increased by 0.8% indicating that overall housing market conditions have recorded a subtle slowdown over the past year. Gold Coast’s housing market has seen value growth slow significantly over the past 12 months. A year ago, values were rising at the annual pace of 6.5% while over the past year, values have increased by only 1.4%, their slowest annual rate of growth since May 2013. Values are -0.1% lower over the quarter and were -0.4% lower over the past month. Although recent growth has not been at the heights seen in regional NSW housing markets and Sydney and Melbourne, the annual rate of value growth peaked at 7.1% in December 2015. The Sunshine Coast is the strongest housing market in Qld for value growth with values rising by 1.1% over the past three months to be 5.5% higher over the past year. Although values were 5.5% higher over the year, this was a slight slowdown on the 5.9% increase in values over the previous year. Although values are continuing to climb, it is occurring against a back-drop of quite weak growth over the past decade with values only 12.9% higher over the period. The Townsville housing market has been very weak over recent years. Over the past decade, values have fallen by a total of -26.9% and they are currently -29.8% lower than they were at their most recent peak in December 2007. The rate of decline in the market has steadied recently with values -0.6% lower over the past three months and -5.5% lower over the past year. Although the declines are showing signs of steadying, the annual change in values has fallen from no change a year ago. Once this market does eventually begin to see growth again, it will likely take a long time for values to return to their previous peak levels. The Wide Bay region of Qld which includes, Bundaberg, Maryborough, Gympie and Hervey Bay has seen values increase by just 0.3% over the past year. Like many of the Qld regions listed, values have fallen over the past decade, down 14.2% and they are currently -14.6% lower than their May 2008 peak. Over recent years, the market has been fairly flat however, the rate of annual growth has slowed from 1.6% a year ago. The regions highlighted are many of the most populous regional housing markets and in most instances the rate of value growth, much like we’re seeing in major capital cities, is slowing. The expectation is that regional markets as a whole will continue to outperform capital cities but we would expect that the rate of growth will continue to ease. 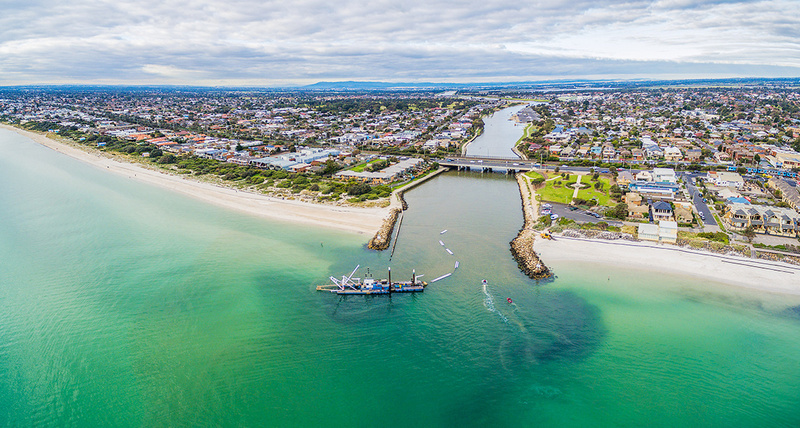 Some of the coastal markets such as Geelong and Sunshine Coast are expected to see values continue to rise while the expectation is that the major coastal markets in NSW will continue to see value growth slow. This is anticipated slowdown is due to a number of factors. 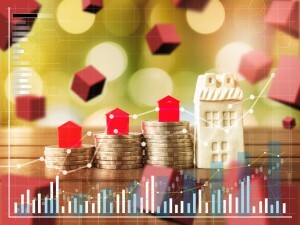 While tighter credit conditions are having the most visible impact on Sydney and Melbourne, the effect is national, with prospective borrowers facing stricter lending policies. 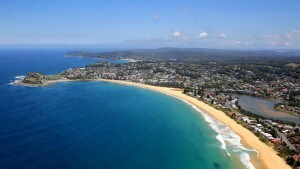 Satellite cities such adjacent to Sydney and Melbourne have benefitted from a ripple of demand – with migration away from NSW accelerating and housing prices in Newcastle and Lake Macquarie and Illawarra relatively expensive, the ripple of demand into Sydney’s surrounding areas may be dissipating. Conversely, Victoria continues to see rapid pop growth from both overseas and interstate which is likely fueling a continued spillover of demand into the cities peripheral to Melbourne. Sea change is likely being boosted by the wealth effect and strong equity from Sydney and Melbourne home owners, as values decline in these cities and credit conditions remain tight, it may be that demand for holiday homes and lifestyle properties starts to ease.